The Personal and Professional Development Advanced Workshops from New Horizons are 2-3 day workshops that will help strengthen crucial skills throughout your entire professional career, from team member to executive leader. Each of the Advanced Workshops include a suite of post-class reinforcement materials (ebooks, Quick Videos, Tools & Templates, On Demand Courses, Team Assessments, Personal Assessments)that are unique to each title. All e-assets, such as books and videos, come with 1-year access. Transformational Leaders have a tremendous impact. They can empower teams to grow and work together, envision the future, embrace change, and maximize performance. This course will help you develop authentic leadership qualities that motivate and drive others to reach their full potential, and become the transformational leaders of the future. Learn more by watching this free Becoming a Transformational Leader Webinar now. In this course, you will learn to understand the mechanics of the organization – reading and interpreting financials, making sound business decisions, and setting a course – while also developing the skills to guide and direct your workforce in an ethical and professional manner. Learn more by watching this free Business Acumen for Leaders Webinar now. Leading others requires building credibility, communicating effectively, developing trust, making decisions, and demonstrating confidence. This course will help you to cultivate the leadership skills that you need to influence others and guide them. In this course, you will learn how to develop and apply facilitation techniques to support your team at every stage of the team life cycle. You will enhance your interpersonal competencies and observational abilities to deal effectively with disruptions and dysfunctions, and guide groups to reach consensus and achieve results. In this course, you will learn proven techniques to find and develop your own voice as a leader – one that builds trusts, fosters enthusiasm for change, engages colleagues, strengthens relationships, and achieves results. Learn more by watching this free Discovering Your Leadership Voice Webinar now. Whether supporting employees to optimize their contribution, or enabling them to further their career aspirations, your coaching will have a positive impact and will foster an environment of growth and success. Managers must be able to develop and unify team members, plan strategically, set goals, delegate responsibilities, provide meaningful feedback, and effectively communicate. In this course, you will learn how to confidently acquire and build these skills through relevant discussions, team and individual activities. Learn more by watching this free Evolving into the Manager Role Webinar now. To maximize performance and foster a healthy environment, senior managers must also motivate others, nurturing and utilizing the distinctive skills of each team member. Learn more by watching this free Leadership Excellence for Senior Management Webinar now. This course will teach you to adjust your management style to successfully improve communication, foster connections, increase productivity, and develop remote and virtual teams. Focused on practical skills, this course includes activities to apply these techniques and drive results. From developing an inspiring vision and empowering members to reach it to meeting deadlines and evaluating results, in this course you will learn the skills needed to successfully transition into an IT manager role. Learn more by watching this free Transitioning into Leadership for an IT Manager Webinar now. Workplace Fundamentals from New Horizons combine soft skills, communication and social intelligence, compliance, attention to detail, time management and more skills that help your team excel in their roles. These 1-day Soft Skills training courses from New Horizons Learning Group are a cost-effective solution for developing the skills your employees need to be successful in a challenging climate. Our world-class instructors deliver training on topics such as Interpersonal Communication, Business Writing, Effective Time Management and so much more. This course will encourage you to explore the different aspects of a team, as well as ways that they can become a top-notch team performer. This course focuses on how to better coach your employees to higher performance. This course will assist students in understanding and implementing strategies that will help to motivate their work force. Once you learn the techniques of true Leadership And Influence, you will be able to build the confidence it takes to take the lead. 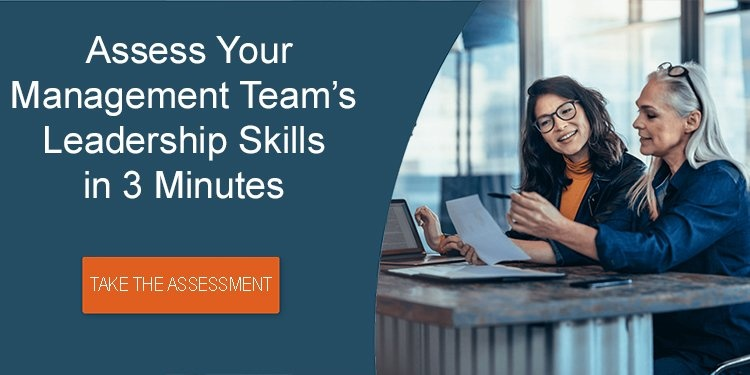 In this course, students learn to identify and manage difficult employees, monitor their behavior, develop clear and effective communications techniques, give and receive feedback, identify workplace conflicts and present resolutions. This course will give all participants an understanding of how change is implemented and some tools for managing their reactions to change. In this course, students will determine how to manage the team so that it remains effective. They will identify ways of building a team, apply strategies for managing a working team, and identify ways of effectively decommissioning a team. If you are taking this course, you probably have some exposure to managing projects, or you may be considering embarking on a career as a professional project manager. Your ability as a project manager to demonstrate best practices in project management on the job is becoming the standard to compete in today's fast-paced and highly technical workplace. In this course, you will apply the generally recognized practices of project management to successfully manage projects. This one-day course introduces the senior managers, department managers, and other key stakeholders to the principles and processes of project management. This course focuses on improving the project manager’s risk management expertise, from initial planning through project closure. Participants will apply all course principles to a work-related case study taken directly from their work environment. This course provides participants with tools and techniques to help them determine and deliver products, services, and results that meet requirements, expectations, and deadlines.